Redesign of a website we had built a few years previously to incorporate the new logo and revised colour scheme. 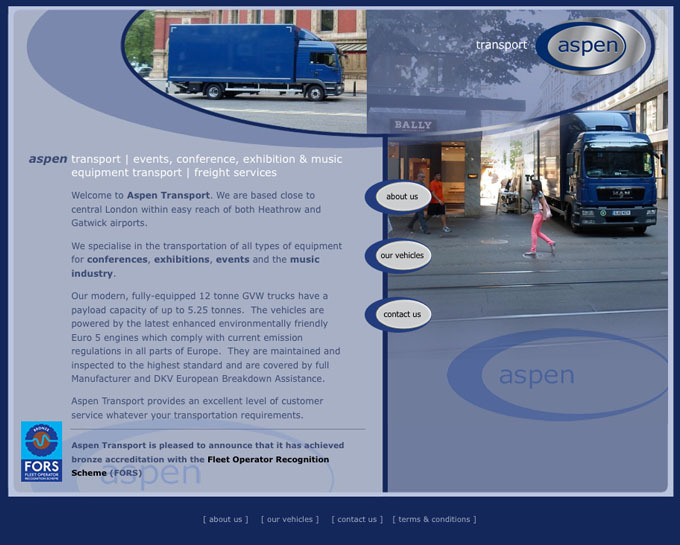 The original site for their Aspen Bussing business was very much designed around the customer's logo, using the colour scheme and shape to good effect. The customer particularly wanted the use of Flash at the time, which was considered popular with the type of clients they were dealing with in the music industry. More recently the site was rebuilt to remove the Flash elements and later it was restructured to be mobile friendly.